The Damodar Group has signed up the world-renowned Donut King as its latest new tenants for Damodar City. 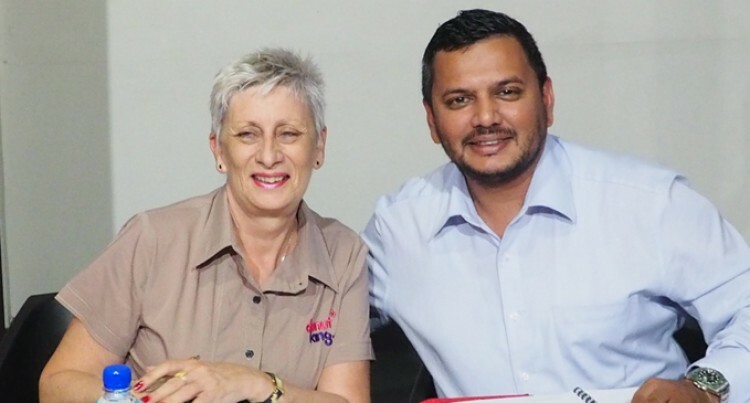 Operational since 1969, Donut King today is also Australia’s biggest donut franchise and will be opening in Fiji in the third quarter of this year. The franchise will be operated by Allied Food Brands (Fiji) Limited in partnership with Dilip Jamnadas. Allied Food Brands (Fiji) Limited general manager, Hellen White, said the venture in Fiji was new for her and they are still learning a lot. “Donut King is obviously very well known and the branding is very fantastic with bright pink which you will see everywhere very soon,” she said. “We have got our first container of equipment coming now. We are going to be looking for a lot of staff members as well. Damodar Group chief executive, Div Damodar, said Donut King was just the first of three new brands they were looking at introducing in Fiji. “For everyone who have been travelling or seen on social media, or seen in movies and now we have it here in Fiji,” he said. Ms White said in terms of expansion, they will eventually do this after settling in Suva and then look outside Suva. “We actually have another store coming up in MHCC at the same time as this but I would like to get Suva setup properly first because we have to have a bakery and get all the staff. Right away they are looking at employing 50 people.